Hoop Club Kapiti held a fun Hot Shots Competition in the Pak'n Save Carpark. Up for grabs were a Family pass to The Breakers game , a Free Term Pass to the Hoop Club Kapiti Junior Programme and a Pak' n Save Gift Voucher plus heaps of Spot Prizes as well. It was a great day with lots of people coming out to support Hoop Club Kapiti and to try their hand at winning the prizes. A massive thanks to all who came, helped and took part. Hoop Club Kapiti Juniors really appreciate your support. 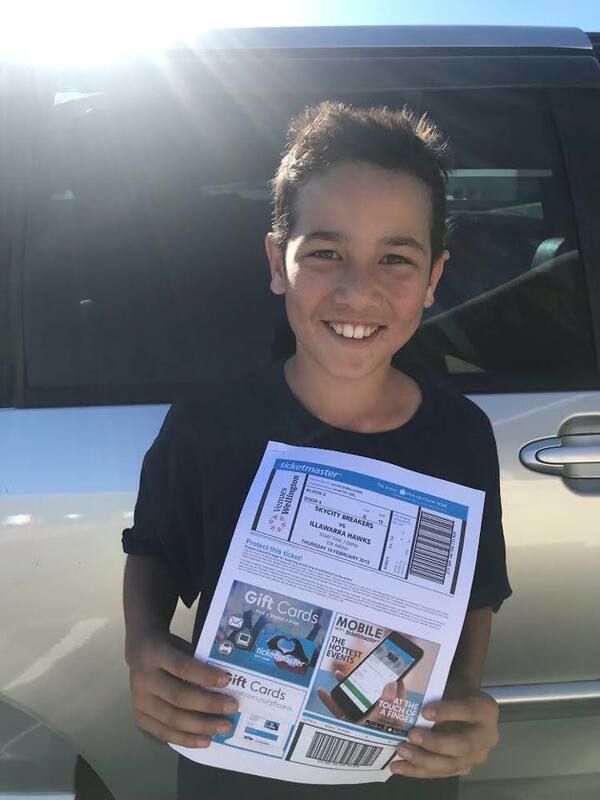 Below is a photo of Kaylis Peneha with his winning tickets to the Breakers game and some photos of the action on the day. Photo is of Matai Community Garden party from 24 March. Codling moth in your apples? Leaf curl on your peaches? A rare chance to workshop with fruit tree master Sarah Frater is coming up on 28 April in Raumati South, as part of Kāpiti Coast District Council’s community garden parties programme. Sarah will be at MOA community orchard for a free workshop that includes pest and disease management. MOA community orchard provides a chance to examine which trees are doing best in local sandy conditions, and discuss common issues. Sarah will look at seasonal pruning, which rootstocks are best for various soil types and locations, which varieties of tree make compatible pollinators, and which types do best in local conditions. Sarah supplied most of the trees for the Jeep Rd orchard that was first planted in 2011. The orchard is now coming to fruition with good crops of plums, peaches, and apples. But pests like codling moth and pear slug are an ongoing issue, says orchard co-ordinator Cree Hatfield. Watering has also proved an issue with establishing the trees, especially in dry summers. The orchard group will be on hand to share waterwise techniques like deep pipe watering, creating mulch pockets, and providing effective shelter. The workshop is part of the Council’s Community Garden Parties series that celebrates local knowledge on waterwise gardening, food growing, and community building through free workshops, activities, and festivities. From zucchini sizzles to wheelbarrow races, fruit tree pruning demonstrations to pou whenua making to wildplay, the parties will be happening in seven gardens across Kāpiti throughout April. · A detour will be in place to direct through traffic to use the alternative route, via Ihakara Street, the main road (old SH1) and Raumati Road. · Stop/go will be in place to let residents, buses, pedestrians, cyclists and business customers through. It all started back in September. After another competitive Sunday scrimmage I started thinking.. we were doing pretty good for a bunch of old fellas. A quick Google and I found that 35 was the starting age for Basketball at the Masters Games. Even better was the fact that the next Masters games was in Whanganui in February 2019. The timing and location couldn't have been more perfect. I convinced a couple of the other guys that we had to do this and then we went about trying to recruit anybody else who was in the right age range. While we recruited we continued going to the Hoop Club scrimmages every Wednesday night and Sunday afternoon. Before we knew it we were off to Whanganui. We had heard rumours of some of the competition we'd be up against. But we were still pretty shocked when we got to Springvale Stadium and spotted Phil Jones milling around the court. I grew up idolising Phil Jones. He's a two time Olympian, a member of the 2002 Tall Blacks who finished 4th in the World Championships and an NBL legend. Our first game was against his team. We were shell-shocked to say the least but did a reasonable job of hanging tough. Our second game of Day 1 was a much closer affair but again we were matched against a number of former NBL players. We had a good first half and were almost even at the break but eventually lost by 20 after a tough second half. After checking out the other teams on Day 1 it was apparent we'd been handed a tough draw. Our first two losses had come at the hands of the Gold and Silver medal favourites. The other teams looked more on our level. Our third and final pool game on the morning of Day 2 was against a team called the Lakers Young Guns. It was a close one but we managed to grind out a win to finish third place in our pool. With a new found swagger we spent the afternoon of Day 2 checking out the sights of Whanganui. The city really comes alive for the Masters Games and the organisers should take a bow for doing an amazing job. We finished the day with a BBQ in the park and a team viewing of the 1992 classic basketball film "White Men Can't Jump". On the third and final day of competition we had our 5th/6th playoff game against the team who finished 3rd in the other pool - the Pacers. The Pacers didn't have the star-power of some of the other teams we had played but they had a deep bench and good ball movement. At this point we were down to 6 players as one of our guys had to go home after Day 2. The game was close but we eventually went down by 4 points. The loss gave us an overall finish of 6th out of 8 teams. Overall the tournament was a raging success. We got to play against some true legends of New Zealand Basketball and had some really competitive games. But best of all we had a great time on and off the court. Local landowners who play an important role in protecting and managing the special natural heritage features of the Kāpiti District will get just over $29,000 of rates support from the Kāpiti Coast District Council. The Council’s Operations and Finance Committee approved this support for 102 properties across 664 hectares of land last week under its Rates Remission Policy. Committee chairperson Cr Michael Scott said Council’s policy played an important role in recognising ratepayers’ conservation efforts and the positive impact their work makes to the Kāpiti District’s cultural and biodiversity values. This includes activities like pest and weed control to maintain and restore ecological health of our region’s signature land features, like our wetlands, bush remnants and swamp and dune forests. “We are lucky in Kāpiti to have property owners who are prepared to voluntarily protect and manage their environment, where these have a close connection to some of our unique and special land features. “Whether its fencing off bush to protect it from stock intrusion or removing other pressures on the land like noxious pests, we are making a contribution to just a small part of the actual costs to those landowners,” Cr Scott said. Some of the properties have legal protections through the District Plan and the policy also offered an added incentive for these to be respected, he said. Landowners who receive the rebate are required to have a Heritage Management Plan for the heritage feature of their property. Council regularly reviews the plan with the landowner. The total number of recipients is up from 99 last year with three new properties approved this year in Otaki, Waikanae and Paraparaumu. The Kāpiti Coast District Council has launched Antenno, a free mobile app that allows residents to raise issues with Council, and be alerted to Council service-related things going on in their neighbourhood. 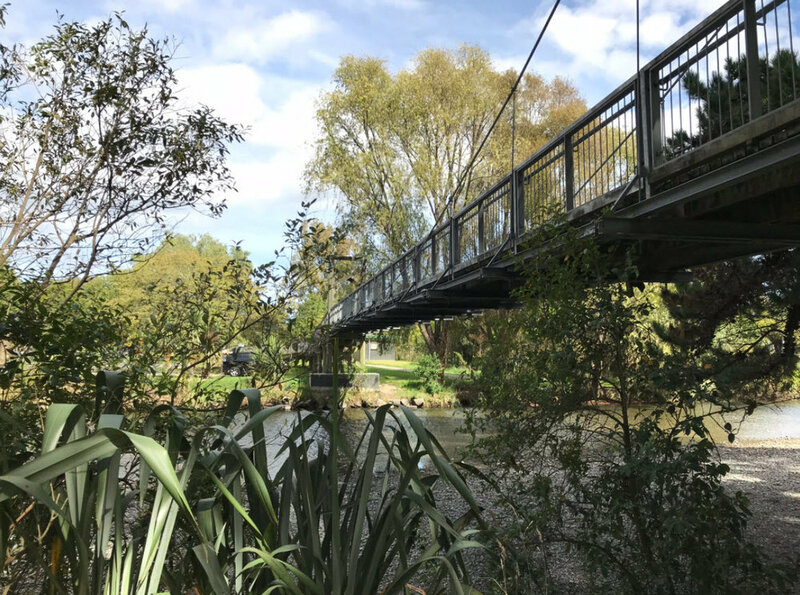 Group Manager People and Partnerships Janice McDougall says Antenno will make it easier for Kāpiti Coast residents to stay up-to-date and connect with the Council using their smart phones. "Antenno provides a new way for local residents to connect with the Council on their terms. Residents can send and receive Council-related information straight from their phone, so they don't have to scroll through newsfeeds to find out what’s going on." Mrs McDougall says another key feature of the app is the ability for residents to raise issues with the Council directly from their smart phones. If residents want to alert Council to urgent issues outside of working hours (8am-5pm, Monday to Friday), they’ll need call 0800 486 486 so Council can respond immediately. Otherwise, their enquiry will be processed on the next business day. Twelve other councils around the country are already using Antenno to connect with their communities. The app is free and available to download now through the App Store or Google Play. t under 50km and comprising four terrain tests. The Intro Trail riders will be doing two shorter loops with two terrain tests (not timed). There were 271 people participating either as individuals or within 21 different business and community groups. The atmosphere was kind, generous and fun as people got on with the event to raise money for Kapiti youth through official Fundraising Partners who were all represented on the day. Fundraising Partners this year included: Challenge for Change, Kapiti Basketball Association, Kapiti College, Kapiti Youth Support, Paraparaumu College, The Shed Project Kapiti and ZEAL Kapiti. The Shed Project Kapiti also bought along a group of musicians to liven-up the registration before the starting siren at 10.30am. “We also have a number of business that give their time, services and products to help make the event sustainable and fun,” says Campaign Manager, Helene Judge. The businesses involved are: Beach FM, City Fitness, Kapiti Business Projects, Kapiti Candy Co, Kapiti Hire, Kapiti Pure Water, Kapiti Law, Kapiti News, Peter Jackson Plumbing, R-Line, Shoe Clinic, SignCraft, 16Nine Photography and Web Genius. On the day, volunteer numbers swell with Web Genius staff, 49 Squadron Cadets, Paraparaumu Medical Centre and Kapiti Youth Support all working to register participants or, who are acting as Marshalls and emergency medical on the beach at the start and turnaround point. KR4Y is a fun walk or run on the beach between Paraparaumu and Raumati Beach raising money for Kapiti youth. There are four options: 12km or 6km walk or the 12km or 6km run. It’s free to register as an individual or group and we encourage every participant to achieve a minimum of $20 sponsorship that can be done easily and securely online. “Since inception in 2011 we have raised $100,000 to support youth in Kapiti so we hope to significantly add to that once we close sponsorship and reconcile very soon,” says Helene. The fundraising model focuses on returning as much money as we can back to the Kapiti youth community. All funds raised are split 70% to the Fundraising Partner chosen by the participant at the time of registration and 30% is retained to run the event. The Kāpiti Coast District’s annual Civic Awards paired with the Wellington Airport Regional Community Awards are back again to honour the outstanding people who make our neighbourhoods and communities the special places they are. Mayor K Gurunathan says that while the awards are annual, this year’s round is particularly poignant in light of how New Zealand has been on the world stage over the past few weeks, demonstrating how inclusive, engaged, and kind communities can be. “This year the awards come at a time when we are all turning our focus inward on our communities, on our neighbours, and how to look after one another – despite all of our differences – and possibly because of them. We’re seeing the incredible resilience and connectedness of our communities and our neighbourhoods. The Civic Awards are our area’s highest honour for individual residents who’ve made a lasting impact in the community. Based on public nominations, Council gives awards based on exemplary volunteer service or outstanding service in their professional field. Appeal to National Library: Block Access to Gun-Related Violent Games on Computers in Public Libraries. I'm making an open appeal to the staff at the National Library who manage the public computers accessed by public libraries across the country. Please take immediate steps to block access to gun-focused violent killing games. 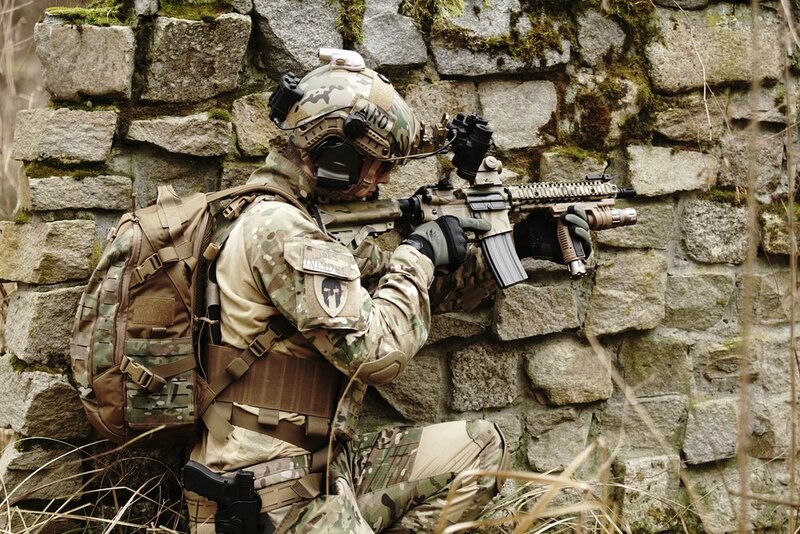 The recent horrific gun-related violence in Christchurch has created debate on the potential damage of such entertainment culture especially on young minds. Public access to computers in our libraries is being accessed by school children to log into these games. I understand from our library staff that we cannot block such access to websites ourselves at our local level. We are locked into a national consortium managed by the National Library. I don't think it's the intention of our public service to provide such access as part of our commitment to the benefits of open education. Primary school children should especially not be able to access such games. At the most, responsibility for such access should be a private decision made through parental guidance. Following a complaint at one of our libraries our staff have placed notices by all public computers at all our libraries asking that, out of respect, such violent games are not played on them. Staff have also spoken directly to regular users of these games and where possible to the parents. In the meantime staff are seeking a long term national policy decision from the National Library.